Experience a visual masterpiece of true color fidelity with the 20-60x85 Level ED Spotting Scope’s fully enhanced optical system. From extra-low dispersion glass to triplet apochromatic lens, the Level Spotting Scope is crafted using only state-of-the-art materials for precision glassing, professional digiscoping, and celestial sightings that are undeniably true to life. Question: I've misplaced my spotting scope manual. Is there a link to download the manual again? Question: Can the Level ED spotting scope be used with glasses? 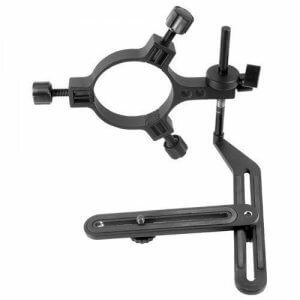 Answer: Yes, the rubber eyecup is fully adjustable, allowing users with glasses to adjust the eye relief to the correct distance for clear viewing. Question: Can bullet impact holes be spotted on a target at 600 to 800 yards? 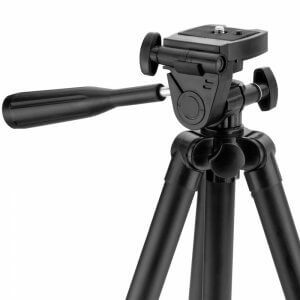 Answer: Assuming that the target is bright and the spotter is fixed to a tripod, then bullet impact holes can be observed at this distance. Question: Will this spotter focus at close distances for up-close birding? 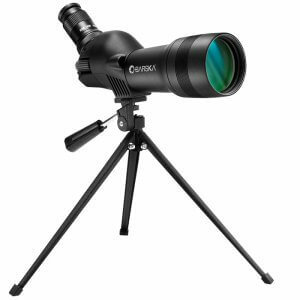 Answer: With a close focus distance of 16.4ft (4.5m), the Level ED Spotting Scope very suitable for up-close bird watching. True color perfection and durability are only achievable with a premium optical system housed in a tough as rock body. And that’s exactly how we designed and built our 20-60x85 Level ED Spotting Scope. Whether you’re an avid digiscoper or a tactical expert, the Level Spotting Scope delivers expansive field of views, colors that are true to their name, and edges with HD sharpness for clear, detailed viewing even from extreme distances. 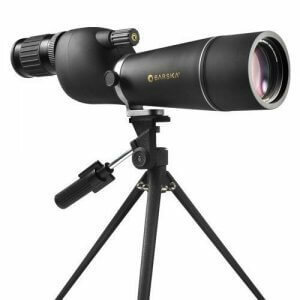 Bring the wonder of the night sky, colors of rare wildlife, and locations of prized game right before your eyes with the Level ED Spotting Scope. Imagine a spotting scope that sees color as well as your own eyes. 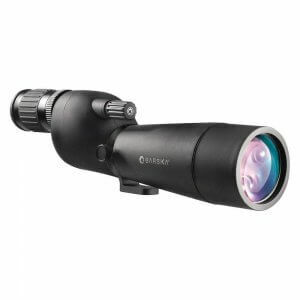 Featuring extra-low dispersion (ED) glass and triplet apochromatic lens, the Level ED Spotting Scope virtually eliminates chromatic aberrations for colors that perfectly match reality and close-ups that defy distance. Enjoy crystal-clear details of the moon without the hindrance of a purple halo or explore the vast reaches of the Sierras without venturing from your campsite. With fully multi-coated optics and BaK-4 prism glass, the Level ED Spotting Scope guarantees the brightness, contrast, and sharpness necessary for HD images at all distances. Hailed as the metal of the future, magnesium is 75% lighter than steel and yet stronger per unit volume – a perfect combination of portability, durability, and utility. In order to create one of the most reliable and portable optical systems for every indoor and outdoor observation, we’ve armored our Level ED Spotting Scope with a specially designed magnesium alloy body. 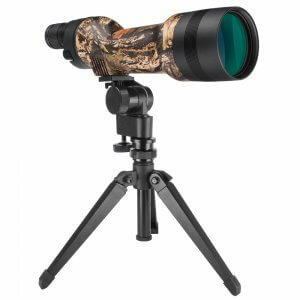 Transport the Level Spotting Scope anywhere, and you’ll discover that it is unbelievably lightweight, corrosion-resistant, and ultra-durable. The Level ED Spotting Scope is argon purged to prevent fogging and O-ring sealed for a 100% waterproof design. Adventurers can climb mountain peaks, endure humid rainforests, and maybe even discover a new species of birds using topnotch optical performance that won’t fail – ever. 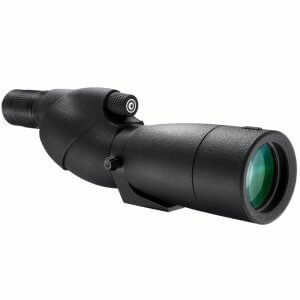 20-60x Magnification Provides an ideal magnification range for close to mid-range targeting. 85mm Objective Lens Increases light transmission for a brighter, clearer image in all lighting conditions. Extra Low Dispersion (ED) Glass Reduces chromatic aberration color distortion around the edges of the viewed subject. Triplet Apochromatic Lens Three lenses that enhance red, blue, and green color wavelengths and also corrects spherical aberration distortion. 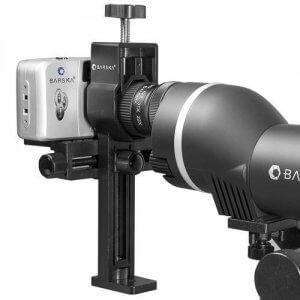 BAK-4 Prism A higher end prism that provides brighter, sharper, and more color-rich viewing experience. Magnesium-Alloy Body Tougher corrosion-resistant material that performs well in extreme weather conditions and provides a more solid build. 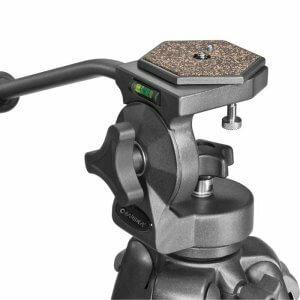 Fine/Coarse Adjustment Knobs Provides two focusing options for the user to quickly focus in on a subject. 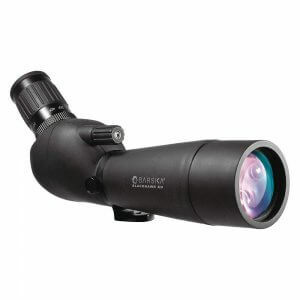 Exendable Sunshade Reduces glare on the spotting scope lens when extended in a bright environment. Argon Gas Purged Provides superior fogproof protection over a wide temperature range. 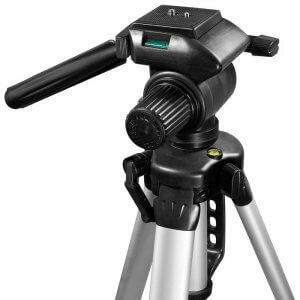 Rotating Collar Allows the user to rotate the eyepiece for additional viewing angle options. Waterproof and Fogproof O-ring sealed and argon gas purged to prevent dust, debris, and moisture from entering the rifle scope. 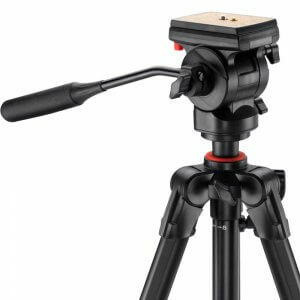 Tripod Mount Standard mount that adapts to a wide variety of tripods (sold separately). Clear and Crisp. Great for Glassing. Gone on 3 elk hunts and this scope has delivered great image quality even when it gets darker. It really makes a huge difference whenever I go hunting since it gives me a good idea of where the game is ahead of time. The build is also sturdy so I don't have to worry when the terrain gets a little rougher. Very happy with the product.